exclusive selection of coveted brands such as Josh Rosebrook, La Bella Figura, Mun, Soapwalla, or John Masters Organics to name a few. Rayna’s drive and determination forces admiration. Her hard work, strong work ethics, but also her endearing and joyful personality can only win you over. speakers however pronounce my name as the Spanish word for queen – REINA. At the same time “Reina” is how Dutch people would write my name. And to make it even more exciting “rein” means “clean” in Dutch. There’s also a joke about the name Reina Organics, which I still hear from friends – that I misspelled my own name when I registered the company. Right now it’s the La Bella Figura makeup collection. Just recently, it was the Axiology lipsticks. It depends on whether there’s something “going on” – for instance the makeup pieces by La Bella Figura were out of stock for months, and when they were available again, they sold out in a week. Same happened when Axiology was launched. Reina Organics was the first store in Europe to offer them, and since these lippies are pretty amazing, the European ladies didn’t wait long to treat themselves to some Axiology beauty. When I was younger, I thought that a beauty routine was slathering thick creams and that it was something you did when you turned 40, i.e. when you got old. Ignorant, I know. Since then, I have built a beauty routine and I religiously stick to it no matter how late I go to bed, or how early I get up. In the morning, I cleanse my face under the shower using Josh Rosebrook Moisturizing Cleanser. When I step out of the shower, I use a mist, normally that would be La BellaFigura Jardin de Fleurs, but I recently rediscovered Soapwalla Balancing Toning Mist, and then I follow with a few drops of oil. Currently, I use Mun No1 Aknari Brightening Serum. I also use it for the eye area. Before I get out, I apply Josh Rosebrook Nutrient Day Cream SPF30. If my complexion needs some evening out and I’m not wearing any makeup that day, I will use the tinted version of the Nutrient Day Cream. If I have had any makeup that day, I would remove it with Josh Rosebrook Herbal Infusion Oil and then cleanse with La Bella Figura Gentle Enzyme Cleanser. Next step is a mist, same as the one I use in the morning, then I gently massage a few drops of La Bella Figura Aria and a few drops of La Bella Figura Barbary Fig SeedOil. I finish off with La Bella Figura Decouverte. Twice a week, I exfoliate with Josh Rosebrook Active Enzyme exfoliator followed by a mask. Once a week, I use Josh Rosebrook Cocoa Antioxidant mask and in alternace, Mahalo Pele Mask or La Bella Figura Bio Purifying mask. Any favorite DIY beauty recipe/ or beauty trick? The only DIY beauty I do is mix my Mahalo Pele mask. Because of a DIY turmeric mask, I was stuck at home with a yellow face for two days, so no more experiments for me. I trust the experts. As for beauty tricks, I recently discovered the beauty of mineral foundation. Although I have oily skin I was very nervous about trying one. Now I adore my W3LL People Altruist Foundation Powder. I like to “seal” it with La Bella Figura Jardin de Fleurs. The result is such a beautiful natural glow! I never really saw myself as an entrepreneur. I am a leader but I always thought that I was that type of person who needs to work for somebody. 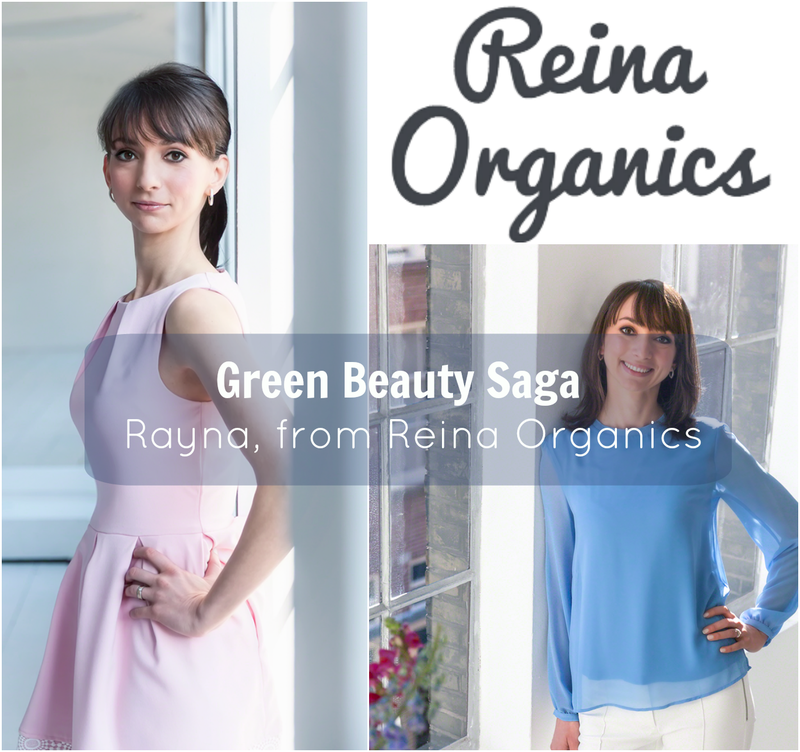 The idea for Reina Organics was born when I started using natural products about two years ago. Along with informations about all the toxic ingredients in conventional cosmetics, I had also read so much love about natural beauty products. The only problem was that two years ago, most of them were nowhere to be found in Amsterdam. I had to order many products from the UK or even the US. Then one Friday morning, I thought I was going to make a DIY turmeric mask which everybody promised does wonders for blemish prone skin. The blogger herself and all the reviews were very positive and they all claimed that the mask doesn’t color the face. Since my May Lindstrom Problem Solver was still on its way, I thought I’d give that turmeric mask a try. Big mistake. Despite all the exfoliating, cleansing and scrubbing I did, my face had a visible yellow tint for TWO days! That was the moment where I decided that I wasn’t going to mix anything anymore. I decided to bring those amazing natural brands to the Netherlands. That’s how six months after I threw away all my non-natural beauty products (read all beauty products except for the Weleda creams for my daughter), I launched Reina Organics. Educating people. Educating people to read the ingredients of the products. In the EU, we are privileged to have the complete ingredients list disclosed on every product, yet most people read only the product description. Educating people about natural beauty and how to avoid greenwashing. On a personal level, the biggest challenge remains not to get affected by comments like “I’m OK with parabens. They don’t irritate my skin” or “I could give (ex. Axiology lipstick) a try, if it was € 10 but for the amount they cost, I’d rather buy MAC”. I always have to tell myself not to get into a discussion. The love and the green community. Every Reina Organics package is prepared and shipped out with care and love, and people respond to that. 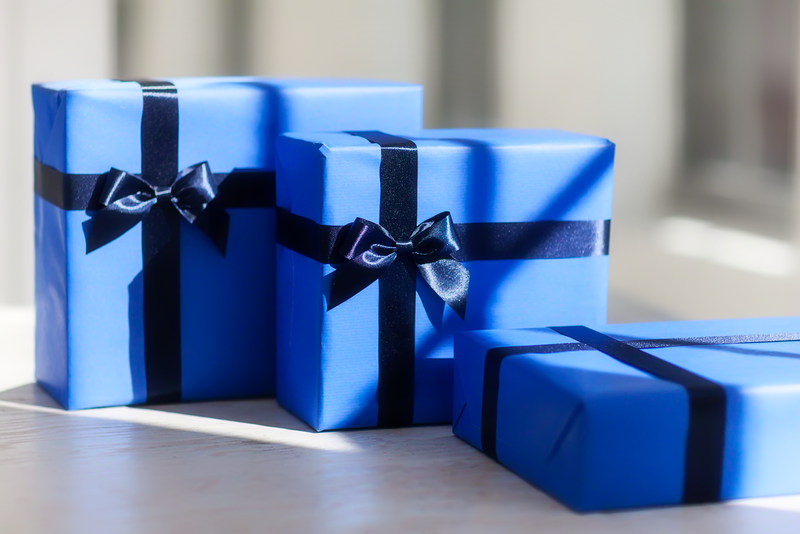 They either post an image of their blue package to share their excitement or drop an email. There’s so much love and joy in their words. It’s truly gratifying and gives me the energy to go on. And then there’s the green community which is my green family. This cohesive group of beautiful ladies is such an incredible source of love and inspiration. They support and celebrate each other. Their passion, dedication and enthusiasm are contagious. I learn so much from them! This is something which I have never experienced during my 10 years in the corporate world. Strange Invisible Perfumes. I have been eyeing their perfumes for very long but the price was a major holdback for me. At ANFGB, I stopped by their stand to try their scents. I was immediately in love with Epic Gardenia: I bought the 15ml bottle and the full size bottle is now on top of my Christmas wish list. A bottle of Strange Invisible Perfumes is an investment but it’s worth every single cent!